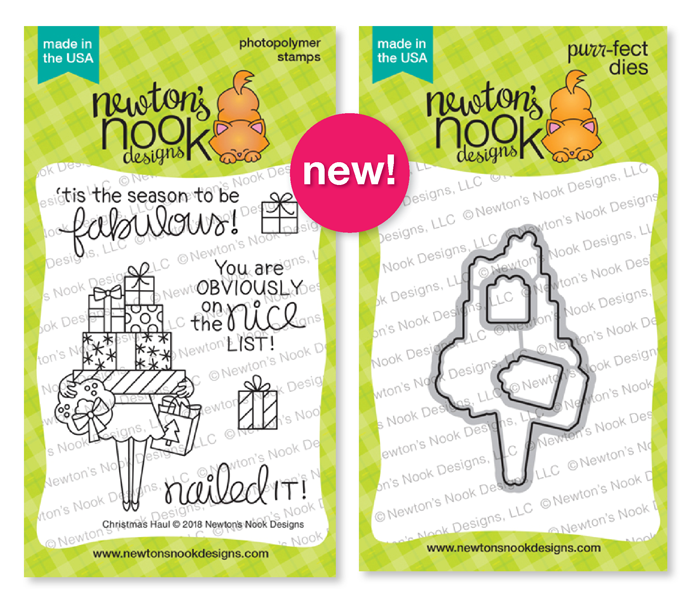 It's time for a new Release from Newton's Nook Designs and this month it's all about Winter and the Holidays!! You don't want to miss this release, all the products will be available on Friday, November 23rd and we'll be having a Black Friday Sale as well!! 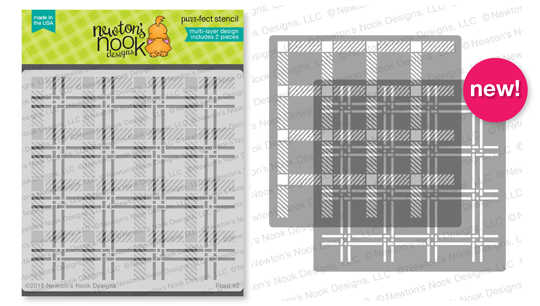 We kicking sneaks off today with a look at Three new Stamp sets and Two Stencils. I went a little untraditional and based my color palette on these fun Pattern Papers I had in my stash. I used the Framework and the Frames and Flags Die sets to create the layout. I stamped and colored the images onto some Copic friendly paper and colored them in. Then I used the Coordinating dies to trim them out and adhered them with some foam tape. I created a scene with the Forest Builder and Land borders Die sets and some Distress Inks. Then I colored the image in with Copics and used the coordinating die to cut it out. Snowman Advice is our final set today and this mini set is so adorable!!! I did some masking with the snowman and colored them in with Colored pencils that coordinate with the Pattern Papers I used. I also used the Large Rectangle from the Flags and Frames Die set. 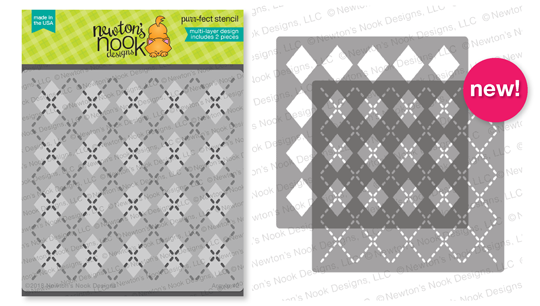 We're also introducing Two New Layer Stencils today... Argyle and Plaid. I'll have these on my projects for tomorrow's Sneak day. Comment on the NND blog and Design Team blogs (see list below)! The winner will be chosen at random from the collective reveal posts. Make sure to check out each of their blogs and comment for your chance to win. You will not know which blog will be randomly chosen so the more you comment on the better your chances are of winning! You have until Wednesday, November 21st at 9pm EST to comment -- winners will be announced on the blog post on Friday, November 23rd. Like the wonderful coloring, the cute snowboarding Moose, whimsy snowman phrases & so much more. Wow!!! Awesome Xmas cards!!! Love them!!! That snowboarding Moose 😍😍😍 wow love it! All your cards are Amazing!!! Thanks for the beautiful inspirations ! Your Cards are super Adorable! I love them all!! I am so over the moon for the new NND release. Your cards are fabulous! Love the deeper tones of reds and greens you used on the first card; it's beautiful. That moose is so funny, love your darling scene with him. The snowmen are sweet and I love the pretty papers you paired them with. That moose is, indeed, SNOW cool!!! I love your cards, they are so cute! I love your cards! 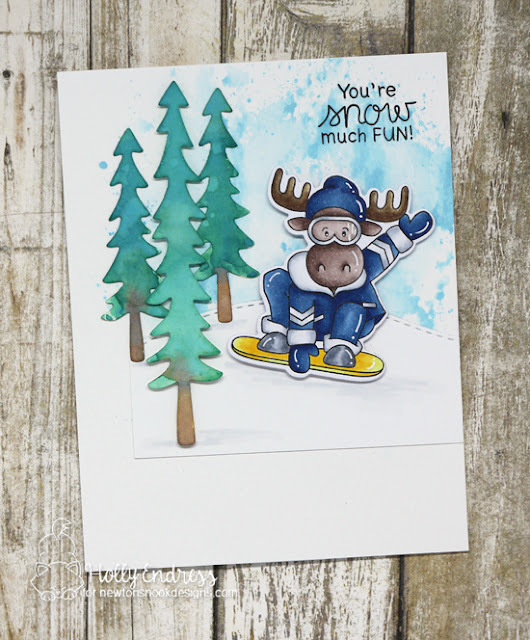 :) I think that moose stamp will be my favorite from the new release, and I love the sentiment with the snowman stamp set. Great inspiration! 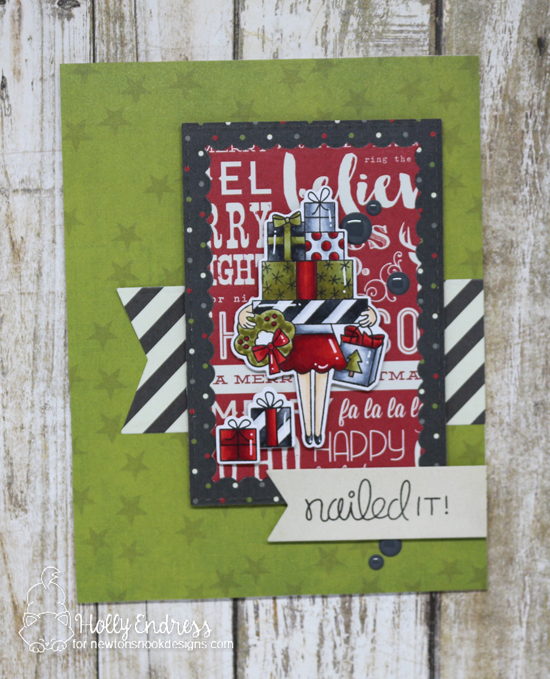 The colors on that nailed it card are fab! Ok, I need that moose stamp!! Wonderful cards, especially like the holiday shopper. Priceless. Cheers. Amazing cards!! love all the little snowman together under the sentiment so cute!! Adorable cards! Love the Christmas Haul set! 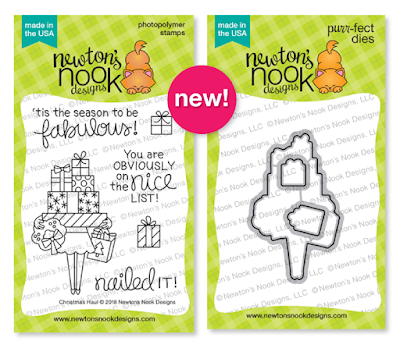 These are adorable and I can't wait to see what you do with the stencils. 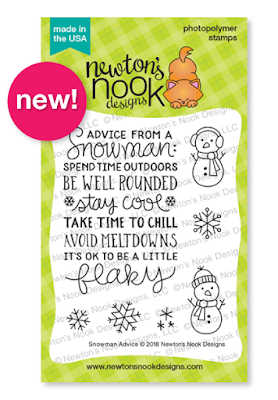 Gorgeous coloring on all the cards, and the new flaky snowman sentiment is adorable! Fabulous Cards! I love the fun pattern papers and the coloring on the gifts! 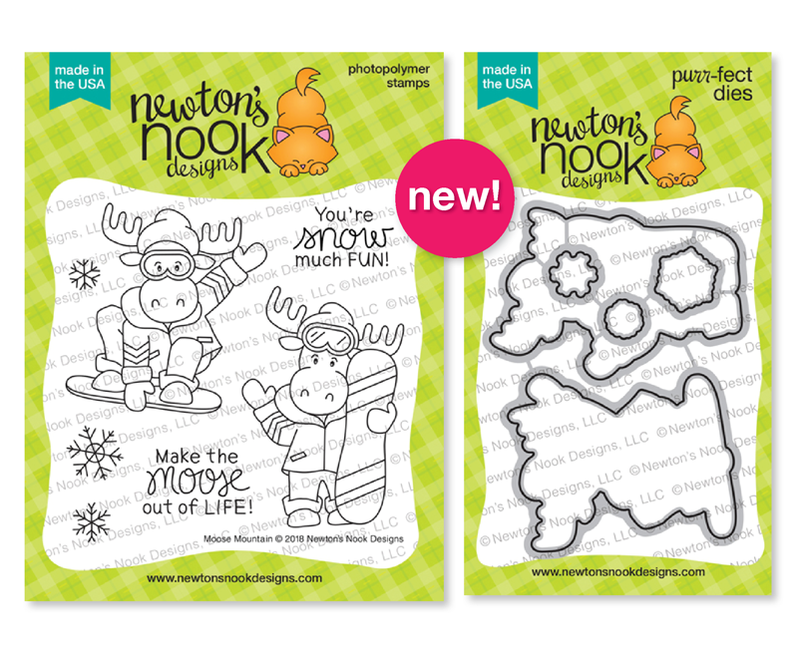 The snowmen are so adorable and the moose is so fun in his winter scene! Great cards. Love your snowboarding moose. He's adorable. Really cute cards! Love how you used the new products! Your cards are so adorable and fun! That big pile of presents is just too fun. Fabulous cards! I love your Christmas Haul card - great layers! Great cards for the upcoming holidays! That snowman set is my favorite so far, and I like how you stamped a group of them under the sentiment. I love the colors you used for your card. The stencils are awesome,and the moose rocks!!! I love the saying about how especially the parts about being flaky. Adorable cards! I really love the untraditional look of the first card! I am noticing more and more that new color combinations are coming out for Christmas décor. So cute. I love the new images. Great scene with the moose and I love the patterned paper for the shopping! 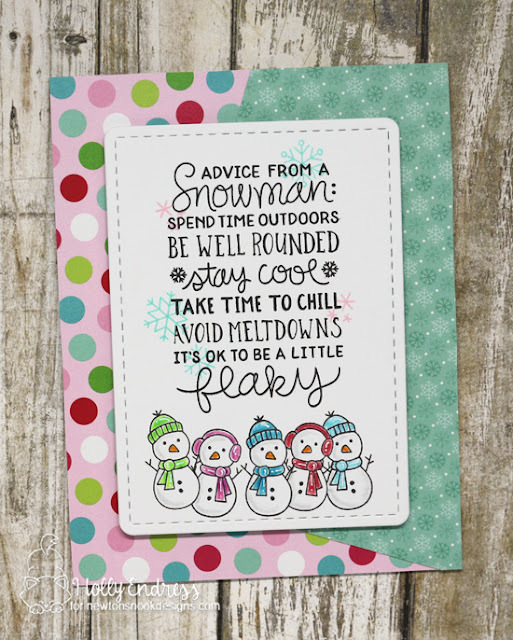 Love your "Advice From A Snowman" card....so cute and colorful :) Thanks for sharing! Love the fun colors on the advice from a snowman card! Fun images...really is getting me ready for Christmas and the 2nd snow of the season. Lovely cards - I especially like the little snowmen, they are wicked cute! How pretty!!!! Love that moose image! Love the moose on his sled ride.